When Prison University Project hosted their first ever peer-to-peer fundraising campaign, they needed to ensure it would mobilize both current and prospective supporters. 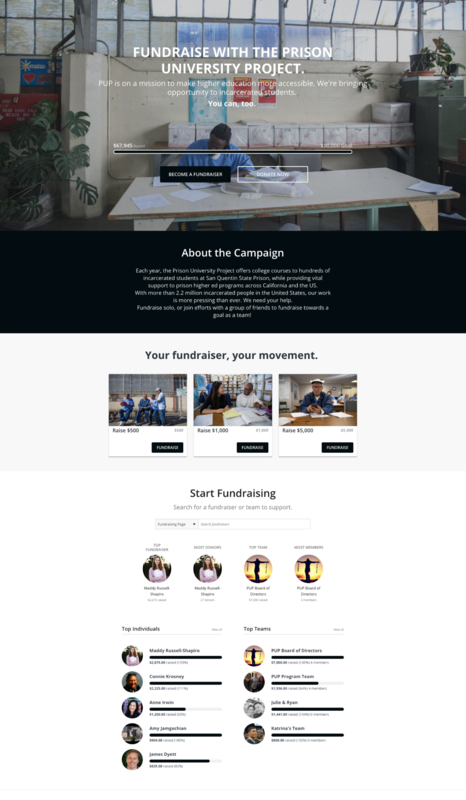 They also recognized the campaign as an opportunity to delight and energize their supporters with a seamless, aesthetically pleasing fundraising experience. With a solid strategy, the organization built a campaign that got board members to fundraise and utilized robust storytelling to encourage giving. At the end of the day, Prison University Project raised over $60,000 and brought in a pool of new donors almost as big as their entire pre-campaign donor base. Leading their charge into a modernized fundraising future is Julie McNulty, the development manager, and one part-time grant writer. Though small, this team has helped Prison University Project fulfill their mission to provide higher education to people at San Quentin State Prison. We sat down with McNulty to dig into the strategies that catapulted their peer-to-peer campaign into success. When McNulty joined Prison University Project in January 2016, she noticed that something was off with their web presence. Namely, the design and aesthetic of the site didn’t reflect who the nonprofit was as a mature organization. At the time, they were also using a different fundraising platform that caused many issues. For example, donors would report that their gifts weren’t being processed. “In the nonprofit world, we’re resistant to thinking about design. We like to think our programs will speak for themselves, but the truth is aesthetics really matter, especially when donors are thinking of making a financial investment. Not only did Classy empower the organization to create beautiful pages, it also enabled them to convert donors into fundraisers. In fall 2016, Prison University Project ran their first ever peer-to-peer fundraising campaign. Launched around #GivingTuesday, this year-end campaign raised funds for the organization’s college program at San Quentin State Prison, and it highlighted their efforts to expand the program outside of San Quentin. This new initiative energized their donor base. “This was our first time launching any kind of online campaign. It was really exciting for our donors to see us doing something new, something that brought us into the 21st century a little bit. Our donor base skews slightly younger, with many donors in their early 30s to mid-40s, and online campaigns tend to do really well with this audience. It was great timing for us. 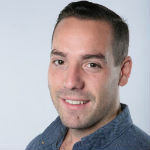 To generate momentum for the peer-to-peer campaign, McNulty orchestrated a soft launch and rolled the campaign out to board members along with other key volunteers. She also encouraged board members to turn their annual commitments into matching gift periods for their fundraising pages to bring in more donations. Prison University Project’s efforts paid off, as their first peer-to-peer campaign brought in well over $60,000. And while the amount raised is impressive, it played second fiddle to an even bigger win. During the campaign, Prison University Project attracted 270 new donors to their cause. To offer some perspective, the organization’s entire donor pool before the campaign was around 500 people. This new group of donors represents a network of people Prison University Project can now cultivate and foster strong relationships with as they move forward. Typically, Prison University Project finds that once donors get involved with the organization they’re committed for the long term. There’s also a concerted effort to bring them on as volunteers to either teach or tutor with the program. Every year, roughly 150 to 200 new volunteers sign on to work with the inmates. 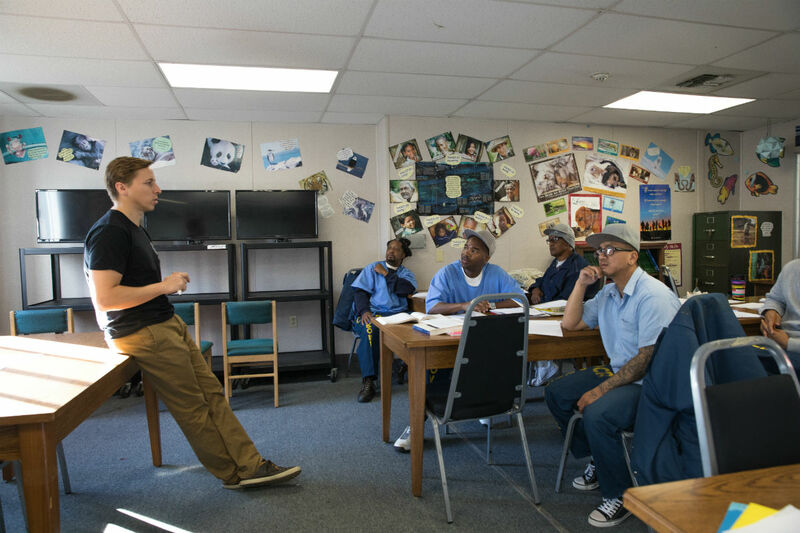 A Prison University Project volunteer teaches a class at San Quentin. This active involvement results from the organization’s ability to tell these inmates’ stories. When it comes to this strong storytelling, Prison University Project is always working to do more of it, particularly online. For example, they currently put out newsletters twice a year that feature stories from their students. They also publish a compendium of student essays, stories, and poems. Further, they’re building a blog that features what students are currently working on in the classroom. “A major component of our mission is humanizing the image of incarcerated people in the public imagination. So much of what we can do with Classy is tied to that work, by showcasing images and capturing the voices of our students. It makes our campaigns more compelling, and gives people a glimpse into a world they may never have experienced, or not know much about. In 2017, Prison University Project will be doing a specific campaign for graduates. The organization is planning on featuring profiles of their 2017 graduates—including photos of the students, samples of their work, and interviews with each one about their experience. That’s the storytelling element. The fundraising side of things comes into play as each student is linked to one of 12 distinct peer-to-peer campaigns. If there’s a specific story that speaks to you, you can fundraise on behalf of that particular student. For Prison University Project, Classy was an investment, one that was more costly than their previous platform. Being a smaller organization, they were hesitant at first to pull the trigger, but McNulty says that after making the investment it became clear they wouldn’t have had the same success without it. “I hate to sound cheesy, but I wouldn’t have been able to run these campaigns without Classy. I don’t have the time to invest in doing a lot of the design work. We don’t have the budget to pay consultants. I would honestly recommend it to any small team who’s trying to decide where to allocate their budget. It’s absolutely been worth every penny.